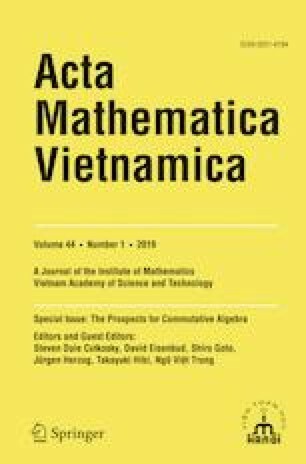 This work clarifies the relationship between the openness of the regular locus of a commutative Noetherian ring R and the existence of generators for the category of finitely generated R-modules, the corresponding bounded derived category, and for the singularity category of R.
The authors are grateful to Shiro Goto, Kazuhiko Kurano, and Jun-ichi Nishimura for valuable suggestions. Finally, the authors thank the referee for reading the paper carefully and giving helpful comments. The first author was partially supported by the National Science Foundation, under grant DMS-1700985. The second author was partially supported by JSPS Grant-in-Aid for Scientific Research 16K05098 and JSPS Fund for the Promotion of Joint International Research 16KK0099.